It is hardly surprising that cycling in Devon is so very popular. 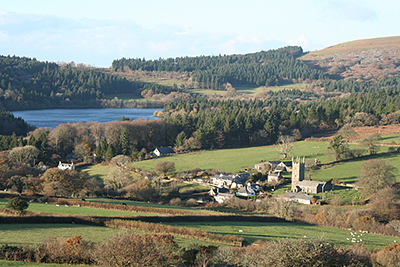 It is an incredible county with a myriad of different vistas from the wild moorland of Dartmoor and Exmoor to gentle wooded landscapes. Small towns and villages dot the landscape, linked together with highways, byways, footpaths and cycle trails to delight both visitors and residents alike. Devon could be described as an area of outstanding natural beauty just by itself as well as an area of serious scientific interest. From the Exe Estuary and the English Riviera on the balmy south coast to the hilly tortuous routes of rugged North Devon via moorland with its ancient standing stones and Ruby red country between the moors. The two major cities of Exeter the county town and Plymouth the county’s cultural capital, are both contemporary and steeped in history, a compelling combination. Both make excellent setting off points for whatever kind of cycling break appeals, a day out, a weekend break or a longer holiday. Details of cycling in Plymouth can be found here. Devon County Council normally publish other town cycle maps, but apparently are all out of stock. Routes throughout Devon can bring endless delight whether they are the longer key routes, the shorter regional ones or the one day out for all the family. Do not take the longer ones all in one bite, they are too special for that. 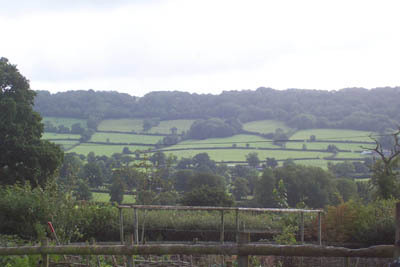 Slow down, enjoy the countryside, the towns and the villages and all that Devon has to offer. Take that well earned break and pack the camera handy! The 240 mile West Country Way, NCN route 3 from Bristol or Bath to Padstow in Cornwall. 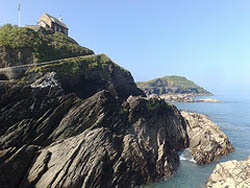 Then there is the shorter 100 mile Devon Coast to Coast NCN route 27 from Ilfracombe in the stunning north coast of Devon to historic Plymouth on the south coast. (a) Seaton, Sidmouth and circumnavigates the Exe Estuary via Exeter to Dawlish. (b) From Totnes continues via a moorland route through Ivybridge to Plymouth. A coastal alternative route from Totnes to Plymouth is fully open as far as Malborough near Salcombe. 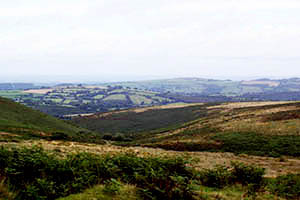 Dartmoor Way is a cycling and walking trail. A strenuous 90 odd miles round Dartmoor. Not waymarked. If you have not cycled, hiked or toured Dartmoor before please remember there are hazards in the venture. Read Dartmoor Trails for more information!! 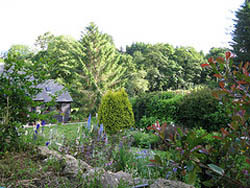 Okehampton makes a good start and finish point, easy to get at and has plenty of accommodation. The route passes through several interesting places including Moretonhampstead, Bovey Tracey, Ashburton, Buckfastleigh – stop off and visit the intriguing Otters and Butterflies Sanctuary. 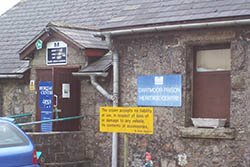 Then there is Princetown of prison fame – with its interesting museum, and attractive Tavistock with the River Tavy running through. The 82 mile Buzzard Route which is Regional Route 52, runs from Sidmouth on the south coast to Seaton and then on to Axminster and Honiton and south again to Woodbury and Exmouth. As a change there is the northern section from Payhembury to the west of Honiton to Pinhoe on the edge of Exeter instead of going back to the coast again. The Granite Way, Okehampton to Lydford 11 miles. Family day out along old railway tracks with inspiring viaducts along the way. Wonderful vistas of west Devon and Dartmoor. Plym Valley Track, about eighteen miles long and part of NCN 27. Another delightful family ride along a railway line with incredible viaducts. Runs from Plymouth to Clearbrook. Budleigh Salterton to Exmouth part of NCN route 2. Five miles of easy riding for the family. From seaside town to seaside town along an old railway track through lovely south Devon countryside. Exe Cycle Route (Part of NCN Route 2) 7 miles of waymarked, binocular needing, family cycling day out. Not to be confused with the Exe Valley route. The trail runs from central Exeter to the Exe Estuary at Exminster. the trail follows the River Exe and the Exeter Canal, passes by the Quay. Runs through Nature Reserves, make time for some bird spotting with the kids. Burrator Reservoir a four mile circular mostly level route round the reservoir. Stunning after periods of wet weather. Open moorland views as well as the reservoir. Also a walking and horse riding trail. Pretty route with granite bridges. Ilfracombe to Woolacombe. 15 miles. Part of the NCN 27. Some on road, some traffic free. Not a bad idea to stock up on water before you start. Some stunning views along the way. Coming back there are two options, the more direct route is not traffic free, the other goes through Morthoe once a haunt for smugglers and shipwrecks off the coast. Totnes to Dartington Riverside Trail. 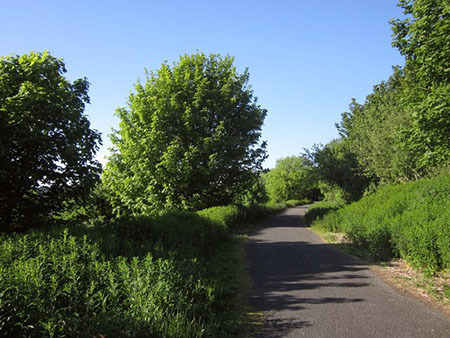 (part of NCN route 2) Only two and half miles of easy family riverside cycling following the Dart River. Runs from Totnes Bridge to the Cider Press Centre. There are some good craft shops here! Opportunity for a cuppa. If you decide to walk for a change, there is a bus back. Check timetables! Or you can go on for another couple of miles to Hood Manor along the new cycle path. Follow the signs. Totnes to Asprington via Sharpham Drive. 5 miles. (Just to Hood Manor it is only 4 miles.) Conveniently starts at Totnes Railway Station and goes to the Asprington Village Centre. This one is more strenuous. Ups and downs bring some lovely views. There is an unfenced stretch so mind the cattle and sheep. Sharpham Estate is a winery and it is open to the public. The local authority, Mid Devon District Council, have several routes available.